"Programming and creating training programs is NOT science… it IS, however, a science." This means that programming doesn't have to be hard or complicated. It does have to be smart, thought out, and put together always with your ultimate goal in mind. Coach Dos was named Collegiate Strength Coach of the Year by the NSCA in 2006 and has worked at College of the Canyons for a long time. He gets many athletes through the program that have allowed him to refine his programming, experiment and figure out that, hey, this doesn't need to be hard, it does need to be varied, but it shouldn't be random. These movements won't interfere with each other, keep the rest time to a minimum, and the mobility piece in thrown in means there is some "catch your breath" time before hitting what might be a heavy squat again. One day you might squat, the next day you'll choose something unilateral like a lunge. He also makes a point to alternate between high volume hypertrophy cycles and high intensity strength/power cycles about every three weeks. He found he made better progress this way and had less "ramp up" issues (forgetting weights for 10's vs 3's, extra soreness as things change, etc) for each compared to when the cycles were longer. Basically that I should stop second guessing the way I pic accessory work for my powerlifters. Also, it gave me some ideas to progress my powerlifters. I particularly like the idea of putting mobility work into the super sets. Honestly, I mostly chatted with Seth and Stevo through this presentation. I had only had two cups of coffee at this point in the day (I'm a five cups a day kinda woman) so paying attention here was difficult. The jist of it was that we have three main metabolic processes that all run together to help us complete tasks at various intensities and lengths of time. There is often confusion when some people talk about "we're training our aerobic/anaerobic systems with this protocol" where people actually believe we're turing on and turning off our various metabolic processes with the things we do. Different time points will favor different processes, but they are all always working to provide you energy to complete a task. When you start an activity, any activity, you're going to use the ATP (adenosine triphosphate, what we use for energy) that is immediately available. All of your metabolic systems spin up to replace the ATP: creatine phosphate, glycolytic, and mitochondrial/Kreb's cycle. The first two are anaerobic and the last is aerobic. The creatine-phosphate system replaces your ATP quickly, but also taps out fast, since it takes a while for your creatine to become re-phosphorylated. Hence the 10-30 second window many graphs will show you. 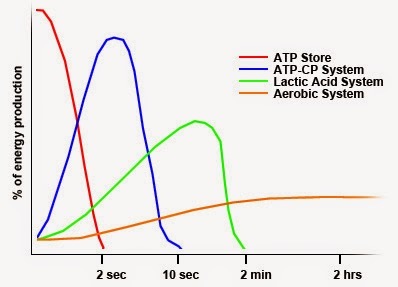 Then we have our Kreb's cycle, that take a little longer to spin up, thought he spin up starts immediately, but will consistently pump out ATP over the long haul with the presence of oxygen. This also has many implications for the use of long, slow endurance training for the recovery of strength athletes, but that's a topic for another time. 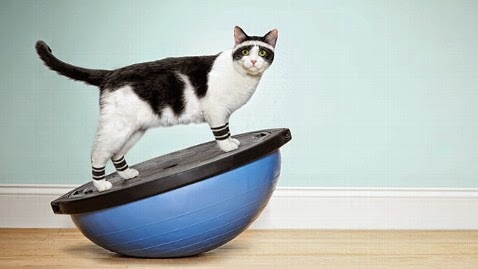 Then he went into the whole Heart Rate Max myth for a bit. You know that caclulation: 220-age = max heart rate? Well…. That number came about when two doctors were doing a study of how hard could heart disease patients work. 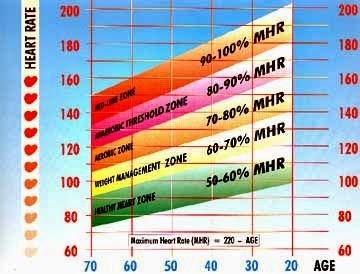 According to a New York Times interview from April 2001, the doctors were just discussing the data prior to a presentation and said "Hey, it looks like the max heart rate is 220 minus the age." But they emphasize this data is from whoever came through the door and gauging maximum heart rate from people who aren't used to exercise is hard, to say the least. "[The formula] was never supposed to be an absolute guide to rule people's training. It's so typical of Americans to take an idea and extend it beyond what it was originally intended for," said Dr. William Haskell in the interview. All this leads into how he evaluates the work output and the adaptations in his athletes and clients. The three grouping are all of the same athlete over time. The darker pink is a coefficient given to heart rate (physiological load) and the lighter pink is the number given to weight moved, or mechanical load. If you compare the first group of bars, with the third, you can see that the athlete moved the same amount of weight, or did the same number of reps, and his or her heart rate was taxed much less to do this work. Solid evidence of adaptation to training. Marcello outfits his athletes with heart rate monitors that feed the information to a display so that during the session, so he can gather this information and assess how they are progressing. How does all of this, energy systems, heart rate and adaptation, come together? This understanding helps him guide his programming. When setting heart rate targets, watching how athletes adapt, and choosing movements, weights, and durations for within a training session. Honestly, this part I didn't pay as much attention to. I like the idea of using the ratio between heart rate effects and mechanical load as a measure of adaptation. But I really don't think programming needs to be that hard for the vast majority of people. And I can asses how well clients are doing by timing key workouts and tracking top end weights.